The US Supreme Court has made a landmark ruling that could allow states across the country to legalise sports betting. It has endorsed a 2014 state ruling in New Jersey which permits sports betting in casinos and at horse racing tracks. The court also struck down a 1992 federal law banning sports gambling. The news sent the share prices of gambling stocks in the US and UK surging, including Britain’s William Hill and Paddy Power. Several major US sports bodies had opposed the move, including the National Basketball Association. The National Collegiate Athletic Association said it was a threat to the “integrity of athletic competition”. However, Justice Samuel Alito wrote on behalf of the Supreme Court: “The legalisation of sports gambling requires an important policy choice, but the choice is not ours to make. Shares in UK-based bookmakers jumped on the ruling. Paddy Power Betfair’s share price rose 10.5%, 888 Holdings jumped 14%, William Hill’s stock gained 9.4% and GVC Holdings rallied 6%. 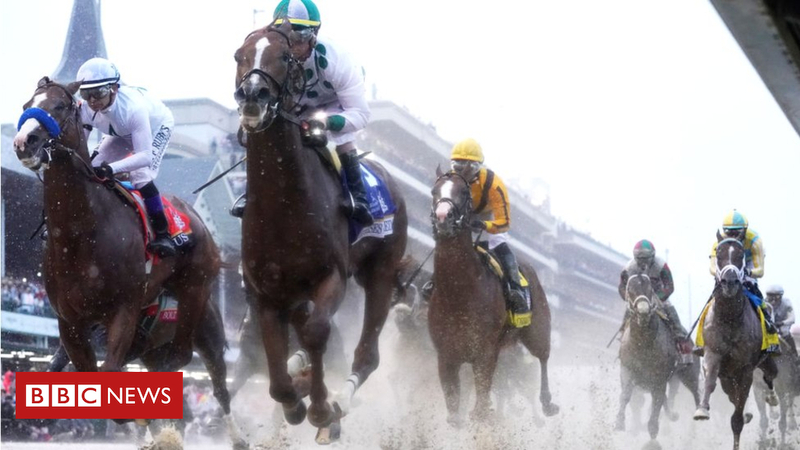 In the US, shares in Churchill Downs, which owns horse race tracks and casinos rose by 5.73%. But Wynn Resorts, the Nevada-based hotels and casino operator, saw its share price fall by 2% on the prospect of competition from new entrants to sports betting. The Supreme Court decision strikes down the Professional and Amateur Sports Protection Act (PASPA) of 1992 that prohibited sports betting in most states. It is only allowed in only a few states, including Nevada, home to Las Vegas, Delaware, Montana and Oregon. Neil Wilson, chief market analyst at markets.com, said that William Hill stands to gain the most following the ruling because it “can roll out gambling operations pretty swiftly from Nevada, where it already operates and has very strong market presence”. He added that the company also has a New Jersey operation “that is primed and ready to start taking bets within days”. Paddy Power Betfair has a presence in the US through TVG, one of the country’s biggest online horse racing businesses. Betfair bought TVG in 2009 for $ 50m before it went on to merge with Paddy Power. Paddy Power Betfair also operates an online casino and horse race betting business in New Jersey.